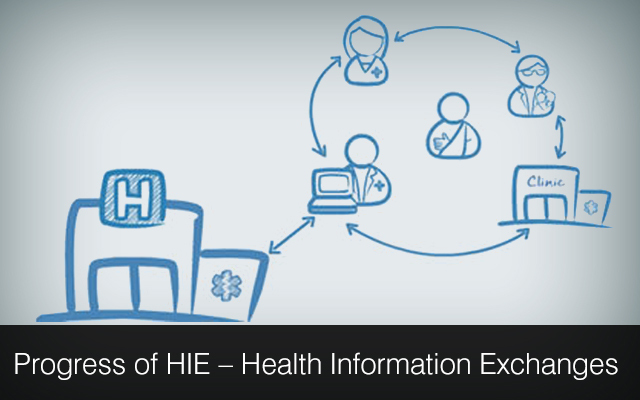 Electronic Health Information Exchange (HIE) can be defined as an electronic mobilization of healthcare or medical information across various organizations that are located within a specific region, community or a chain of hospitals. The system allows medical practitioners, doctors, nurses, pharmacists, lab personnel, other professionals connected to the medical business as well as relatives of the patients to properly access and share critical medical information electronically. This increases the speed, safety, along with the quality of the care that is given to the patients. It allows electronic exchange of secured information between various medical service providers for providing a coordinated as well as synchronized care. It allows the clinics to search or request for information on a particular patient for supporting coordinated care. This helps the patients to aggregate as well as control the use of information relating to their health among the medical practitioners. It also helps to facilitate effective deployment of various cutting edge technologies and emerging services related to health care. Records that are maintained by the individual physicians as well as organizations. Last but not the least; it helps in significant reduction of costs involved in treatment. Electronic Health Information Exchanges are excellent platforms that facilitate prevention of errors during the prognosis. This is ensured by various value added features like automated reminders for appointments, or follow-up instructions that are automatically dispatched directly to the patients, or automatic dispatch of prescriptions to the pharmacies. Thus, they significantly reduce the time that a patient needs to spend for filling up the documents and briefing their medical service providers on their respective medical history. Thus, they allow more time for discussions related to the health related concerns as well as treatments. HIE has, therefore, every potential for both cost cutting as well as improvement of health related outcomes. These HIEs are being pushed to the limits of their capacity by various medical services so much so that these exchanges are continually enhancing their capabilities to reach out to serve an increased number of medical practitioners as well as the patients alike. The technicality of these HIEs is such that they provide equal importance or emphasis to the care givers and the patients and give them equal parts and areas to operate in. You can get in touch with healthcare software development companies to get your software developed. This Post was posted in Health Care and tagged develop ambulatory ehr ssolutions, develop ambulatory healthcare system, develop clinical information management systems, develop physician cpoe systems, EMR EHR Software development, emr software developers, healthcare mobile app development, healthcare software development, iphone medical app developers, web based EMR/EHR development. Bookmark the permalink.